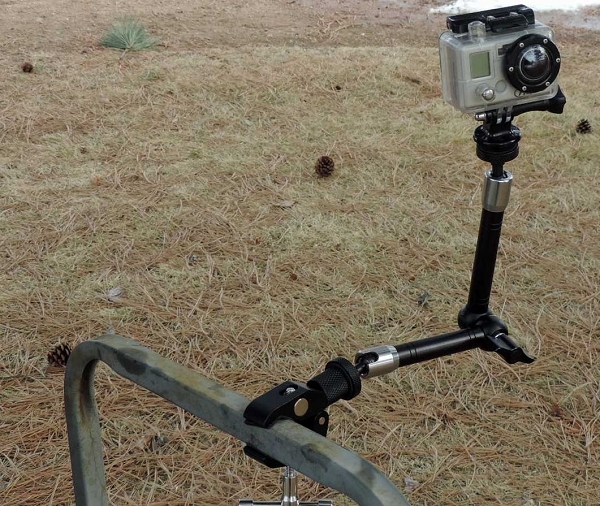 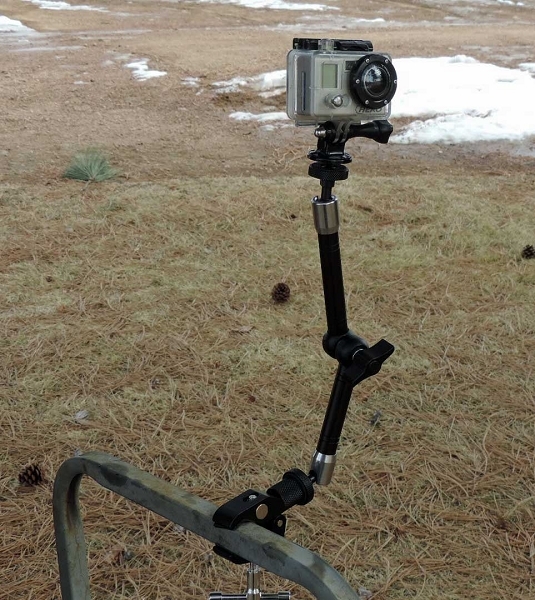 If you're looking for a solid, secure way to attach your Go Pro or other POV Camera to your Deer Stand Snowmobile, Boat, Deer Stand ATV, UTV, Auto or just about anything, you'll love this universal Quick Clamp adjustable mount system .The Hornet R 3042 Camera Mount comes complete with a SOLID Quick Clamp (tool less installation) that will be anything 1/2" to 1 1/2" . 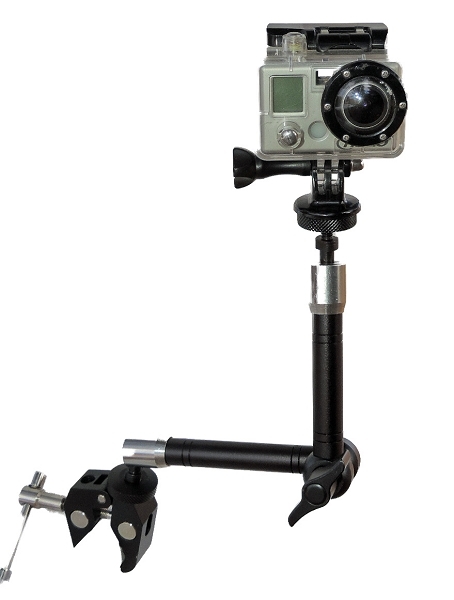 The Fast Clamp base attaches to the Hornet Quick-Adjust arm. 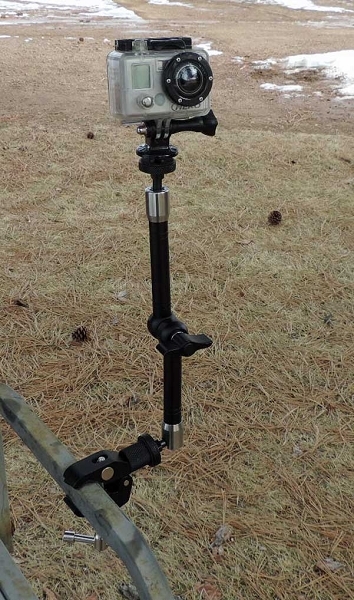 This unique ALL STAINLESS STEEL arm has a unique feature where a simple twist of the elbow knob loosens the entire arms AND both ball sockets on the ends so you just loosen, adjust to the desired position, and lock it in place with a simple half turn of the knob.